I’ve had a set of silicone flower pot cake cases for a while now but haven’t used them! 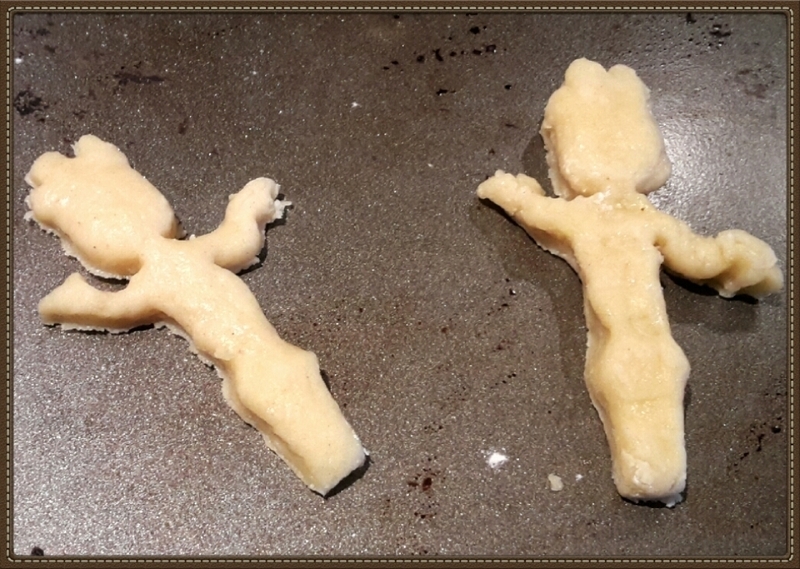 😮 But recently, I got a dancing Groot cookie cutter from eBay and decided I had to make dancing, flower pot, baby Groot cookie cakes. 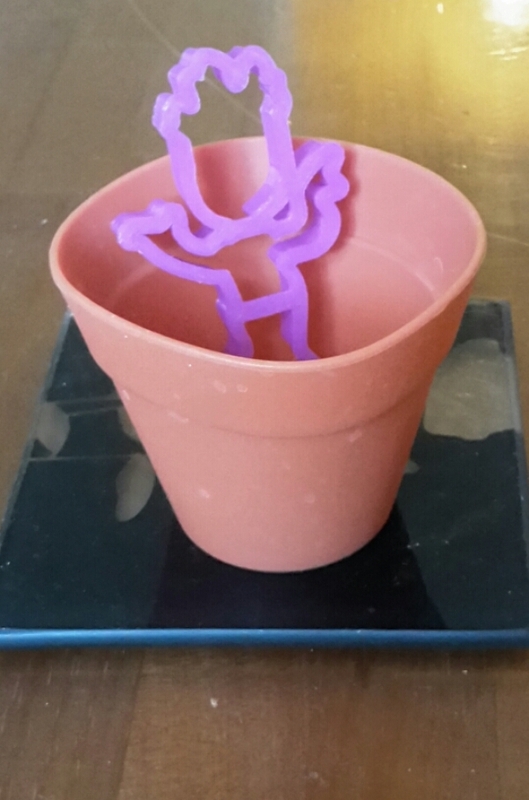 If you’re not familiar with Groot, he’s one of the main characters from Guardians of the Galaxy and at the end of the movie a baby version of himself dances in a flower pot! 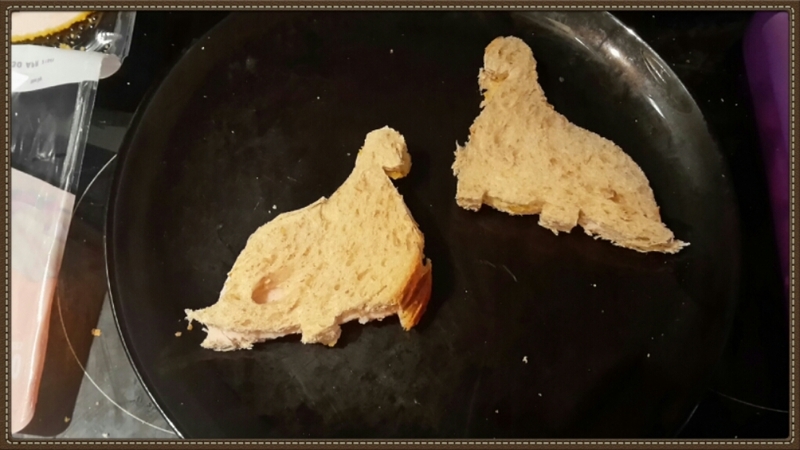 – see video… Please excuse the advertisment! I had a few ideas in mind for the ‘cake’ part, i.e. 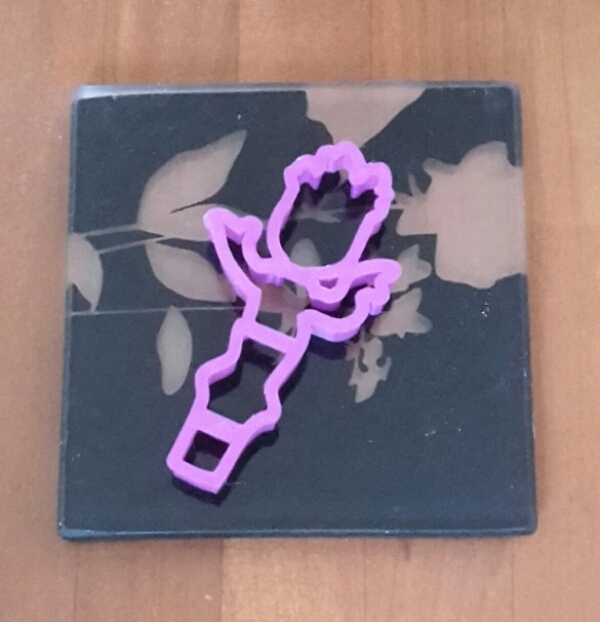 The part that would be inside the flower pot. 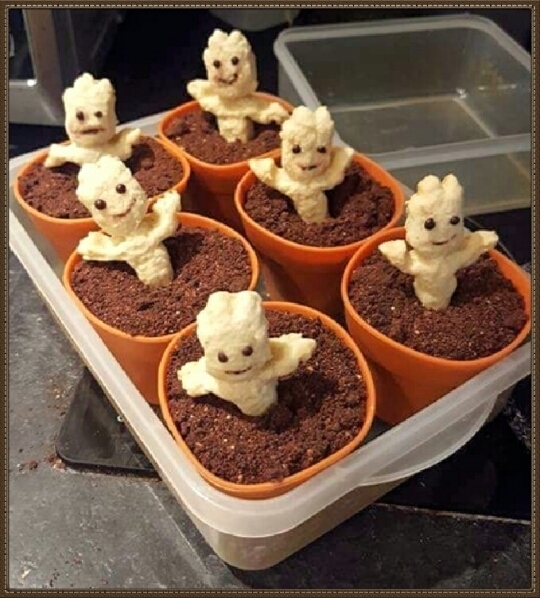 I decided not to use chocolate ice cream due to concerns it would melt too quickly, how I’d keep it cool on display and thinking the Groot cookies wouldn’t stand up too well in it. 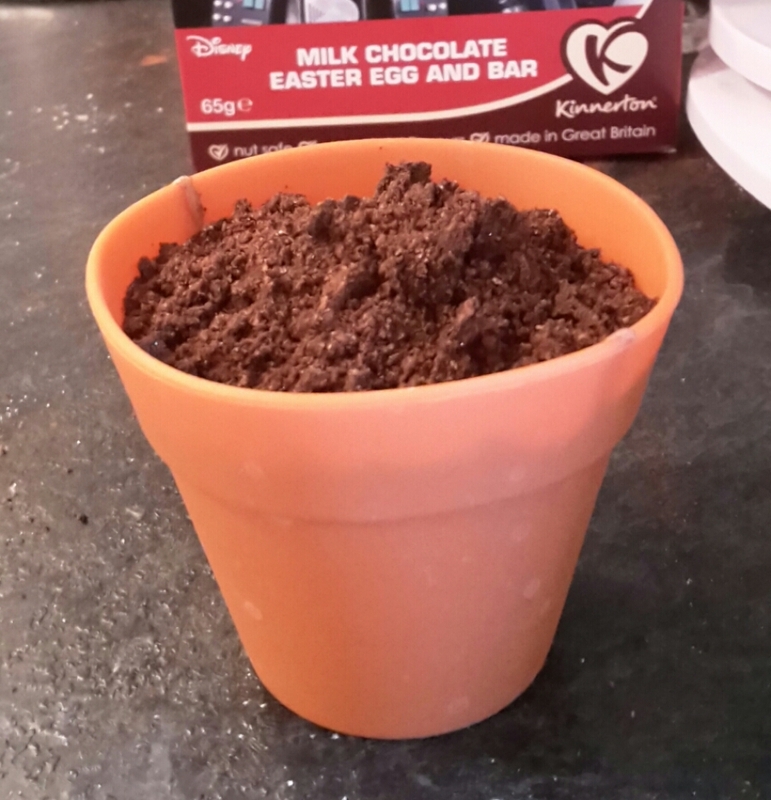 Ultimately I decided on chocolate pudding / mousse with chocolate soil on top, which Ryan kindly shared his recipe for. 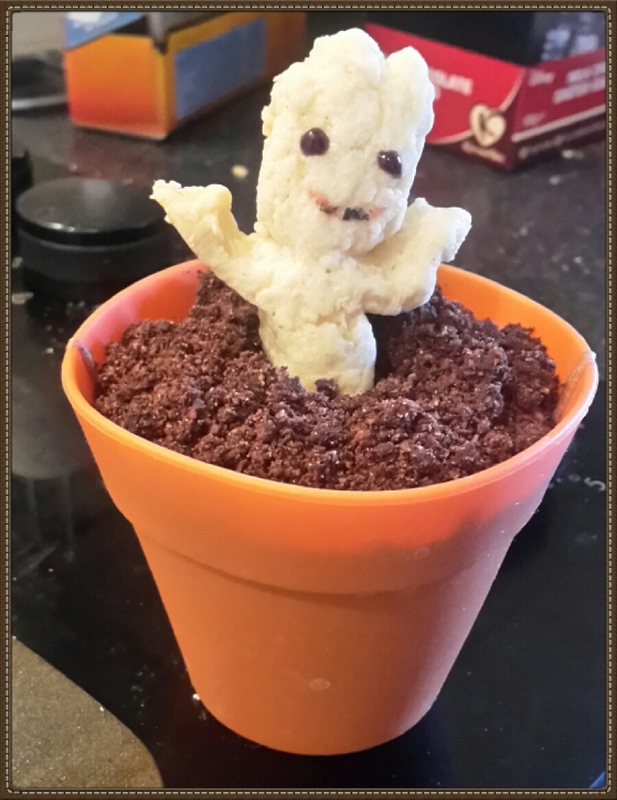 I used my go to cookie recipe for dancing Groot and my edible icing pens for his facial features. 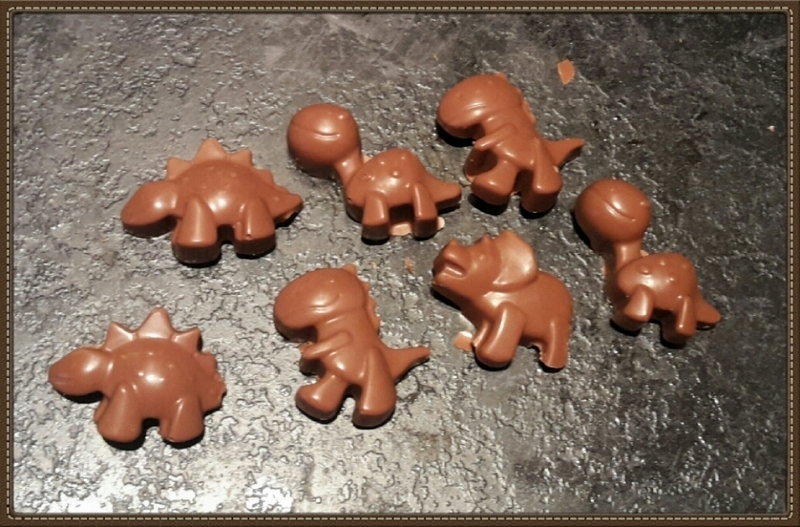 We made them as part of our very geeky Sunday, where we had movie themed food and desserts including Star wars cupcakes, dinosaur sandwiches, dinosaur chocolates etc. 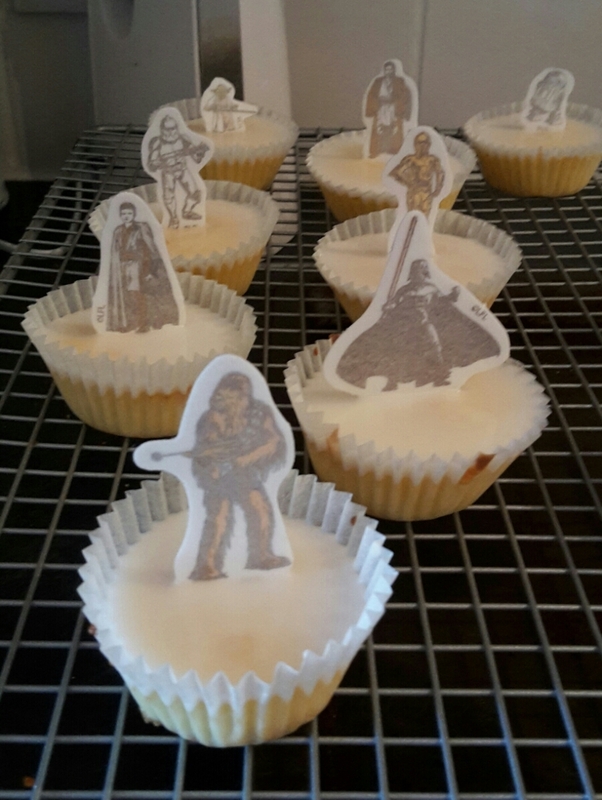 This was in celebration of Star Wars which is on May 4th (… May the forth be with you) but as we were all working that day made the decision to celebrate at the weekend instead. We had a really fun day watching films and listening to music.